For my birthday dinner we headed to The Keg in Coquitlam for a good steak. The Coquitlam location is relatively new and the inside is beautiful with high ceilings and lots of dark wood and stone accents. 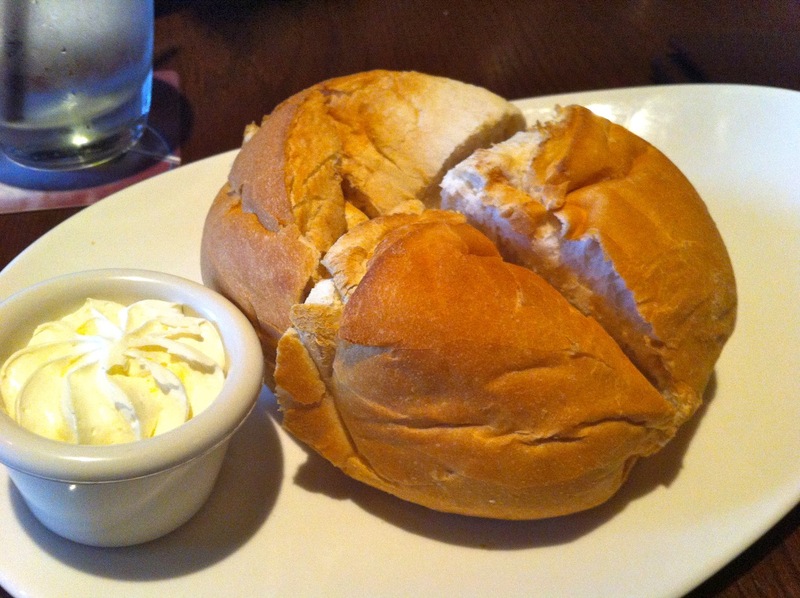 At the Keg they always bring around a free bread roll with whipped butter. The bread was soft and served warm. It’s the perfect thing to soak up the creamy airy butter, but make sure you don’t fill up on too much bread. For my dinner I went with the top sirloin and baked potato. The steak was flavourful and tender with a good bit of char on the outside, while still being pink inside. I ordered a side of béarnaise sauce for an extra dollar and I would highly recommend doing this because it is creamy and delicious. The baked potato was large and filled with butter, sour cream, bacon bits, and green onions. Needless to say it was heavenly and it remains my favourite side at the Keg. I am an asparagus fanatic, however, these asparagus were served raw and I found them to be off-putting and too strong. I don’t know if these were intentionally served this way, or if it was an accident, but they really should cook and season them if you are paying for a steak dinner. 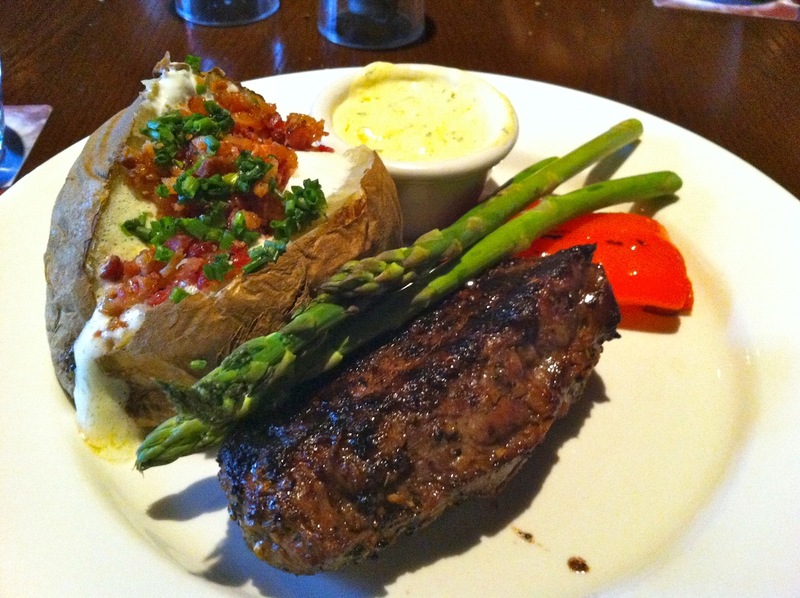 Outside of the asparagus flop, the rest of my dinner was good and I was satisfied with the steak. The Keg is still one of my favourite places to come for a steak because the prices are reasonable and they know what they are doing. Yes, for a solid steak dinner.